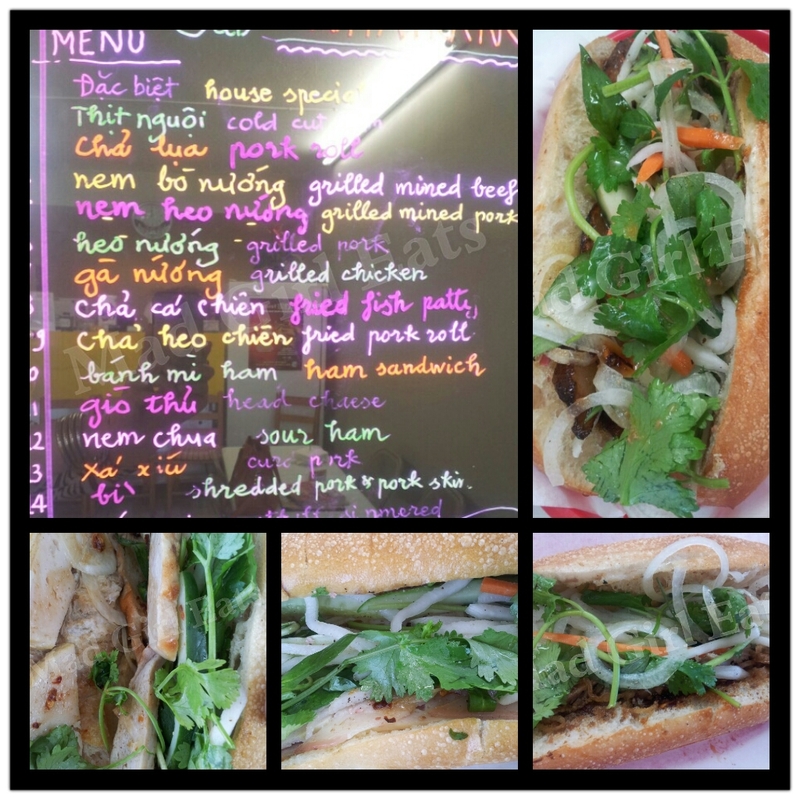 Banh Mi Nha Trang, 1216 E. Colonial Dr, Orlando, FL, 32803. Tucked away in a tiny shopping alcove on a busy downtown Orlando street, a little Vietnamese sub shop is blooming with great eats. Banh mi, offered in 19 varieties, is made by the cutest little lady who doesn’t speak much English but who’s delightful existance make you enjoy her food even more. She invites everyone back with, “See you tomorrow!”, and I did. I came back the next day to try more! Over the course of the weekend, I tried #1 – the House Special, #9 – the Fried Pork, #14 – the Shredded Pork and Pork Skin, #19 – the Barbeque Pork Belly. A nice amount of meat, topped with pickled veggies (like Kimchi), fresh veg and herbs, on beautiful baguettes. Toasted to perfection as to not rip the flesh off the roof of your mouth. The flavors are UNBELIEVABLE. Some a bit spicer than others, but all absolutely rockin’ delicious. Each banh mi, $3.00. Say what?! Yes, $3.00. Buy 5 and get one free. Holla! My fave, the #14. Perfect blend of meat, sweet and heat pickled veg, chewy crunchy bread. Fan-freaking-tastic! On my Top Sandwiches list in the U.S.A.
5 out of 5 banh mi makes me happy faces 🙂 Don’t miss this place when in Orlando.